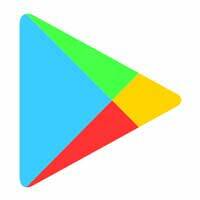 Google Play Store Update You can now download the latest version 5.10.29 of Google Play Store APK which brings with it a bunch of changes and bug fixes that users have been facing for quite a while. This release also includes more Material Design, Details Page, updated look for What’s New, Wearable sensors/activity data, Enterprise apps support, fingerprint readers support, Uninstall Manager, among other things. The download link below has been updated with latest version. Dear friends you have to successfully install this android apps on your android device. If you have to any problem regarding to installation process on your android device, then please you can share your problem and difficulty with me in the comment box. So I have to solve your problem regarding installation this android Apps. 2. This android apps is provided only Testing Purposes. 4. I am not responsibility if any problem regarding to install this program on your Mobile.